Many people are aware of the way the number eleven has clustered around 9/11. Much less well known is the smaller clustering of the number five around the Pentagon Building. The Pentagon was deliberately built on the principle of fiveness, so I will start the page with those structural features. However, 9/11 and English gematria have added further fives, showing that the Pentagon was tagged with this number at the behest of a higher power. 1. The Pentagon building is five sided, built the form of a perfect pentagon. 2. This pentagonal structure is further divided into five concentric pentagons. 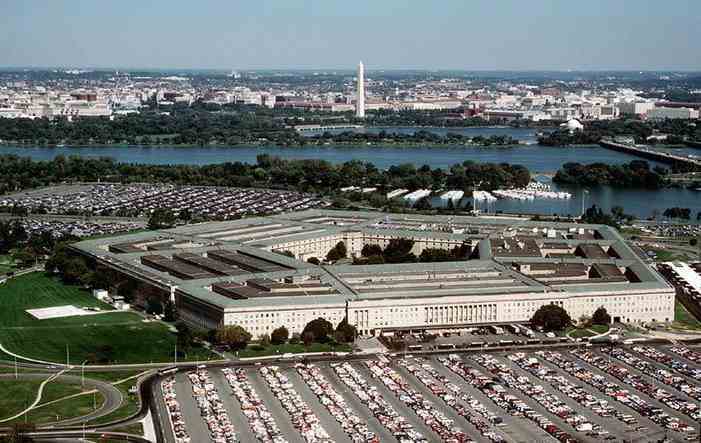 3 The Pentagon has five storeys above ground. 4. The name 'The Pentagon' has an ordinal value of 125, or 5 x 5 x 5. 5. The word 'pentagon' has an ordinal value of 92, the eighth pentagonal number. 6. The number of casualties in the Pentagon on 9/11 was 125, or 5 x 5 x 5. Of these, 55 (5 x 11) were military personnel. 7. In Washington DC itself (just across the Potomac River from the Pentagon) is an inverted pentagram, centred on the Whitehouse and thought to be a masonic symbol. The Whitehouse is thought to have been the fourth 9/11 target. 8. Both the number 11, so deeply embedded into 9/11 and so important to the new Bible Code, and the number 911, are centred pentagram numbers. The number 151, ordinal value of 'Jesus Christ' and emplying the digits of the numbers 5 and 11, can also make a centred pentagram.